I’ve only gone and bloomin done it! As seems to be the ‘norm’ these days I headed down to Dover for another weekend of swimming but had decided to stay down this weekend to see if I could get a swim in on Sunday. I had it in my head that after doing 5 hours last weekend that I should go for the six hour mark and qualify for my solo in 15 months time (the rules state that you can do it up to 30 months beforehand but the water must be under 16 degrees). 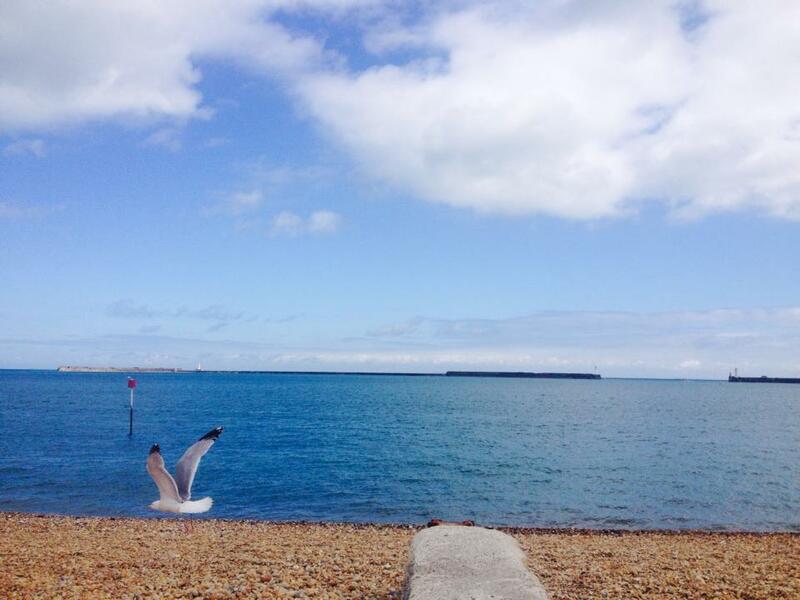 As I woke up at 6.30am and drove down to Dover I didn’t feel much like swimming and the weather seemed to mimic my mood with a overcast grey cloud look- where was the sun that was going to make it easier for me! I met up with the usual crowd as I got down there most of which are doing their solo’s this year and Graeme who is doing a solo across Lake Zurich also came to join in the cold water fun! My two way relay team were also coming down to do their 2 hour qualifying swim, the relays start their training at 10am so I planned to try and find them in the sea of swimmers from around then so that I had someone to swim with for a couple of hours. I agreed with Freda that I would try for my 6 hours and after the briefing off I went. As it came up to 6 hours I was still feeling strong, although had had some niggles with my shoulder as it kept pinching (the lovely Kate came me a quick shoulder rub at one point as I was trying to stretch it in the water as I reached one end of the Harbour) I knew I could have carried on which gave me great confidence. Vicky and all the others that are attempting their channel crossings this year all stayed in for 7 hours and they would be swimming 6 hours on the Sunday – this is where I will need to be next year but for now I was pleased with my 6 and for qualifying to be able to attempt my solo next year. Once Vicky had done her 7 hours the clouds cleared and the sun shone! Typical! We headed off to Folkstone to our hotel. It was an early night as we were both shattered but we headed to a pub for some hearty grub and a little channel chit chat we headed off to the land of Zzzz’s. As England were playing that night it was pretty noisy and I didn’t get much sleep so woke up feeling pretty shattered and my back and shoulder were in a bit of pain so I made the decision to only swim for an hour on Sunday. I sometimes put too much pressure on myself and reminded myself that there is no point in injuring myself for the sake of a few hours of swimming – there is plenty of time for that. It was much colder than the day before but I stretched the muscles out and did some speed work which was good to do as well as keeping me warmer. I stayed for the feed at 12 and helped out the team on the beach feeding the swimmers as they come in – it is a bit manic as you are trying to get warm drinks and bananas to them and also take their number and make sure it is recorded so we know we haven’t lost anyone – I have so much admiration for the volunteers such as Freda, Barry and Irene who come down every weekend come rain or shine to help us all try and fulfil our dreams, without them it would be so much harder to organise good training with feed and safety teams. 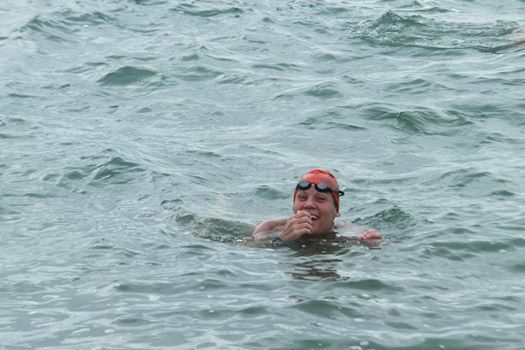 I am also so thankful to all those that have completed Channel swims of a variety of complexities (solos of one ways, two ways, three way attempts) they offer such great advice and support and help to diminish any fears or questions that are going on in my head about my two way relay and my solo. 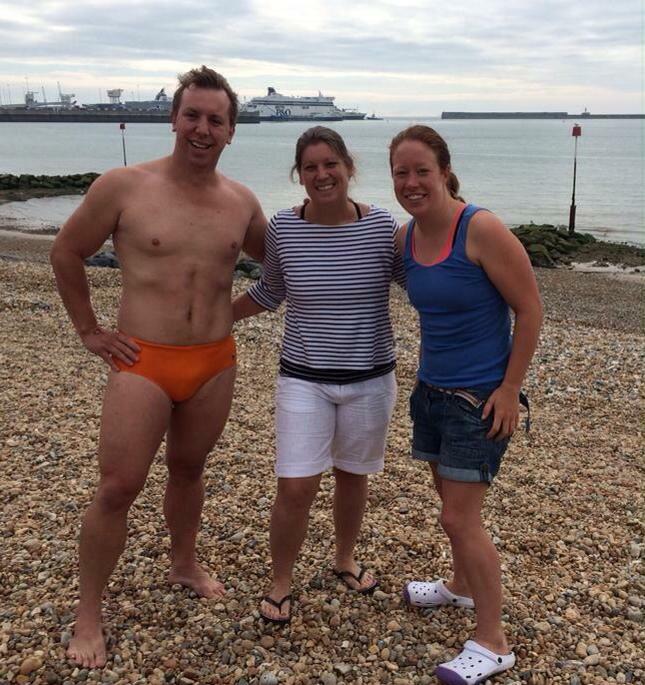 So as I left Dover to drive home I realised I was closer to my dream of swimming the channel solo was becoming more of a reality and I am feeling really positive fitness-wise for my two way relay. What a 15 months it is going to be! 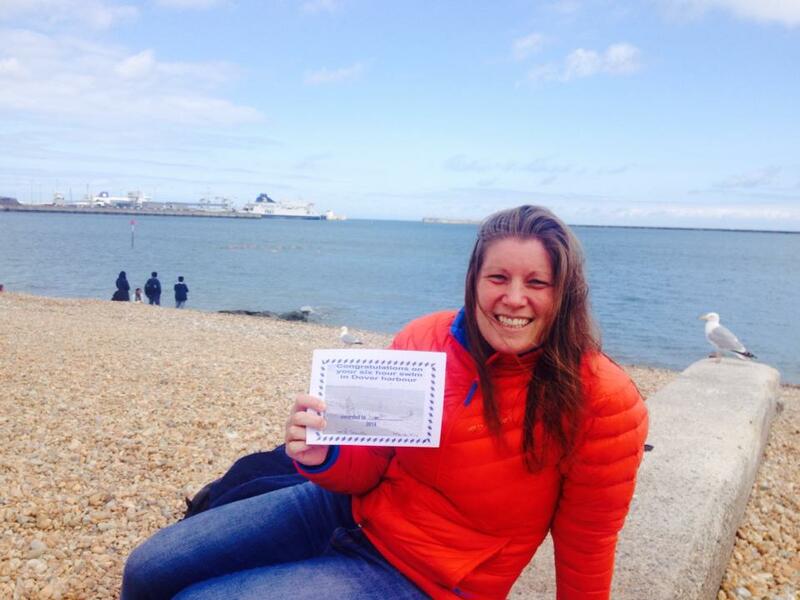 This entry was posted in Uncategorized and tagged Channel Swimming, Dover, Open Water Swimming. Bookmark the permalink.